This is a very special year for children in 2nd class. On Sunday, the 19th of May, 2019 the children will receive the Bread of Life for the first time. 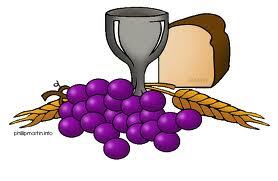 2nd class are currently preparing for their First Holy Communion by taking part in the "Do this in Memory" Programme. As part of this programme, children attend a special communion mass once a month. Masses are held on Sunday mornings at 11:30am, in Gowran church, with lovely singing from the choir run by Paul and Clare. The sacramental preparation of children is the responsibility of the home, school and parish working together in partnership. Do This in Memory is a programme which complements the school-based work and takes place outside the classroom. It gives parents, children and the parish community the opportunity to prepare for First Holy Communion. It highlights the importance of the Sunday Eucharist and acknowledges the home as the most important and significant place where the faith of our children is nurtured. The children of 2nd class will receive the Sacrament of Penance in March 2019 at 7pm in Gowran church. In this sacrament the children will celebrate the love and forgiveness of God. They are reminded that God always loves them and never forgets them.